Home » Interesting Discussions » The Weekend Poll : How did your first week go? The Weekend Poll : How did your first week go? 1. How was the first work/school week of 2011 for you? For me it was surprisingly light. I had time to clear some backlog of paperwork, while preparing for the onslaught to come. The end of the week was much more hectic though. Things are starting to pile up! 2. What’s one household chore you dislike the most? 3. What’s one product you’ve liked using in the week? 4. What’s one good thing to happen to you in the week? Your turn. Just copy the list and input your answers. 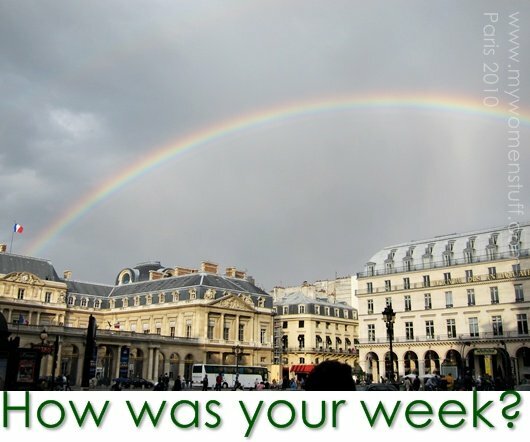 How was the first work/school week of 2011 for you? What’s one household chore you dislike the most? What’s one product you’ve liked using in the week? What’s one good thing to happen to you in the week? 3. Crabtree and Evelyn handcreams! 1.How was the first work/school week of 2011 for you? Working for the hospitality industry, I had a morning shift on the first day of the year! I was like a walking zombie having little/no sleep at all but hey it was fun! 2.What’s one household chore you dislike the most? I can stand ironing (which you and Legeeque hates the most), actually I like it. But the one thing I really dislike is washing dirty dishes. 3.What’s one product you’ve liked using in the week? I finally gave in and bought the Shiseido Anti-Aging Suncare Extra Smooth Sun Protection Lotion N SPF30. I’m trying to experiment if it’ll work on my skin as a primer. Hehehe. 4.What’s one good thing to happen to you in the week? Hand-washing my clothes. It’s raining cows and elephants in Terengganu my clothes will NEVER dry. Argh. Hanging the clothes, but its the one I do most often. School, crappy. I got two(!!!) of the strict teacher for my sub. Skin79 Hot Pink BB Cream. 😛 but it’s still on it’s trial period. For the most part, okay, except on the blogging side of things. The start of 2011 has proven to be crappy for me on the blogging end. Even after a whole new domain and a whole new host, I am still having issues. Sigh…. I hate ironing too! I am an accumulator with ironing…haha…I’d accumulate a few baskets then iron the whole load at once. 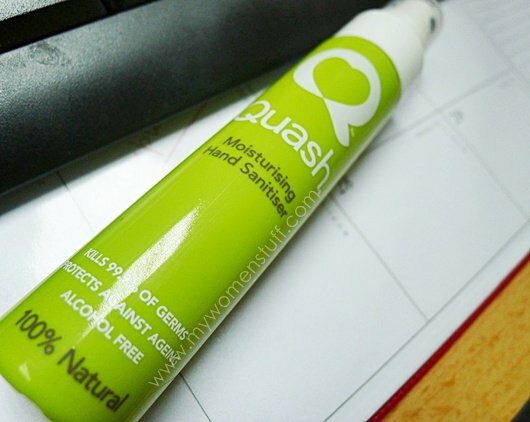 It’s been scorching hot this week in Melbourne, so the product I’ve been loving this week is my Ego QV Sunscreen. The BBQ with family today. I had a long story for this…Supposed to start my new job last week, but HR gimme a big trouble in preparing my pass/permit and delayed my work till next week. Let’s hope they did not create a little trouble for me. Oops! I hope the HR gets things sorted out so you can get in there and start working! 😉 And I love meeting fellow bloggers too. Its always so much fun! A bit hit and miss (literally). Someone hit my car but didn’t leave a note (and security deny seeing/hearing anything), but I had fun out shopping out today. MAC Prep and Prime Skin – it works to hold my foundation on even in humid weather! My Tartan Tale (MAC again) palettes arrived- now have all the eyeshadows! Cleaning the toilet.. -_- I’m freaking hate that..
Bobbi Brown Skin Foundation! 😀 Thank God it’s not as heavy as my previous BB foundation. Love it! Pretty jam! MAinly due to heavy rainfall early in the morning and also me sleep in late due to the coolness of air……. Washing the toilet and scrubbing the floor. I am pretty ok with ironing and mopping the floor. It was work after work and… oh I studied also! It seems I started 2011 at full speed! A perfumer said she would send me a vial of the perfume she makes! Can’t wait to smell it! Yeah, loose eyeshadows are quite troublesome to work with – but I’m getting the hang of it. 🙂 And it is decadent, isn’t it? Ah, but perfumes can somehow lift us from this mortal coil! 😀 Love it! >> Work has been stagnant. Nothing much new, still old same routine. But i am happy with it-at the moment (more time to play around). haha. >> Dust cleaning project. Will get flu (sometimes even fever) each time completed this project. >> I know i missed the train (or jet-lag, hihi), but i just got the Dior Shimmer Powder . Have been using that every single day. Love! Love! This is the most exiting part! Hope it does the same to everyone else too!